You probably don’t know that some of the most toxic plants in North America are hidden among your beautiful garden herbs. When you start with planting, you should pay attention to beautiful, colorful flowers that decorate your garden and enrich your area. Some of these can quickly turn into ‘toxic killers’, especially if you have small children and the pets at your home. The Lily of the Valley is a perennial flower that naturally grows in the Northern Hemisphere. It is widespread in the Appalachia region in the US, Europe, and Asia. Many people (including me) grow this flower in their gardens as an excellent groundcover. It blooms in the late spring, and the beauty of its white, bell-shaped, adorably smelling blooms and tiny orange-red berries is absolutely incredible. The Christian legend says that this fragile flower was formed from Mary’s tears after Jesus’ crucifixion. 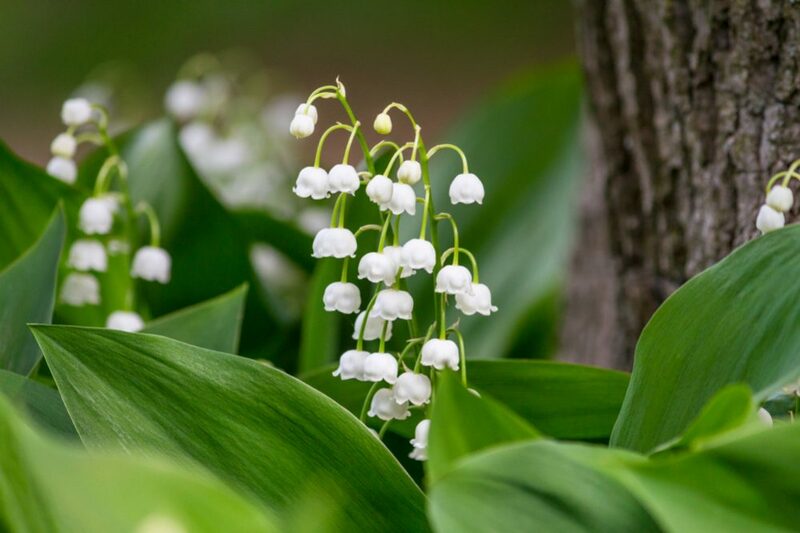 In modern history, the Lily of the Valley is the national flower of Finland and used to be the floral emblem of former Yugoslavia. Until now, scientists have found that this plant contains forty extremely toxic cardiac glycosides in its flowers, berries, leaves, and stems. These glycosides allow bounding a sugar to a non-carbohydrate molecule. That means we can use this flower as medicament like our ancestors, but overdosage will destroy your nervous, circulatory, and gastrointestinal systems. If you accidentally swallow this plant or any part of it, you can experience blurry vision, headaches, drowsiness, disorientation, nausea, vomiting, diarrhea, skin rashes, and irregular heartbeat. To avoid death outcome, seek emergency medical intervention right away. 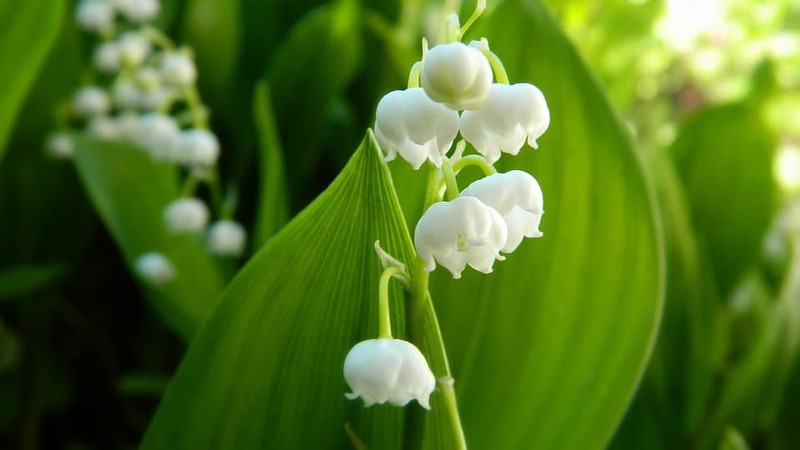 Keep your children and pets away from the Lily of the Valley and freely enjoy in this sweet-smell white beauty. 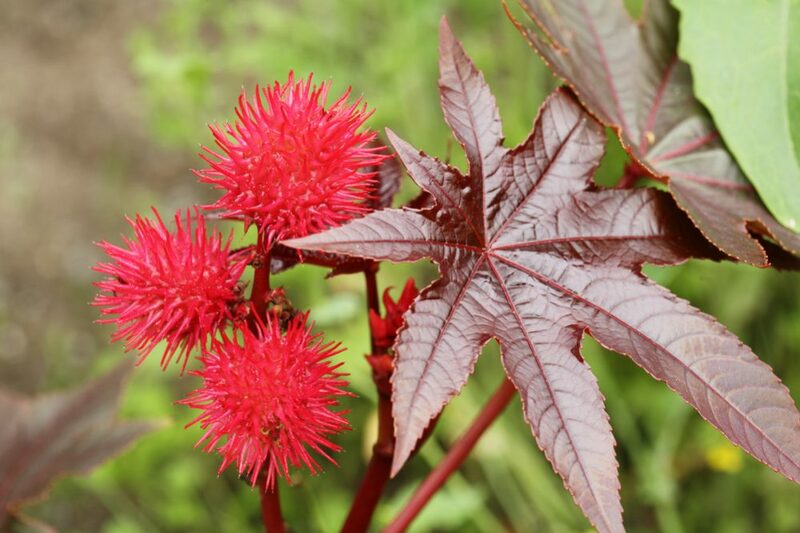 Castor oil originates from Africa, the Mediterranean, and India. Commercially, this plant is cultivated in China, India, and Brazil. Nowadays, it is widespread throughout the world thanks to the healing properties of its oil and the beauty of its yellowish green flowers and attractive, unusual red center. This plant is an unavoidable home remedy and incredibly beautiful. However, toxic seeds of this flower contain ricin, probably the most poisonous naturally substance we have ever heard about. Believe it or not, just one tiny seed can kill a child after internal bleeding and severe dehydration caused by diarrhea and vomiting. Luckily, the fatal outcome is really rare. In some cases, it is possible to experience an allergic reaction to the seeds’ dust. The beauty of bell-shaped, purple, white, or pink blooms of this plant is enchanting, and some of the compounds which this flower contains are an excellent remedy for congestive heart failure. William Withering was the first physician who used Digitalis in the treatment of edema. He also described a medical use of this plant and symptoms of its toxicity in 1785. However, don’t let it fools you. 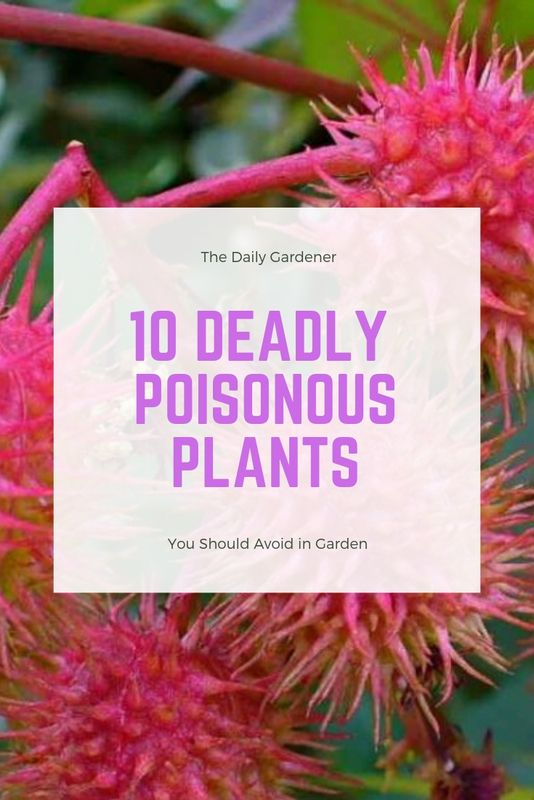 The entire plant is deadly toxic, especially the leaves from the top of the plant thanks to the high concentration of poisonous chemicals digitalin, digitonin, and digitoxin in them. Only twenty minutes after ingesting its leaves, the first signs of poisoning will appear, including bradycardia, irregular pulse, diarrhea, nausea, and vomiting. There are some assumptions that the Dutch post-impressionist painter Vincent van Gogh used digitalis and was a victim of its side effects such as xanthopsia (a color vision deficiency, with a predominance of yellow). 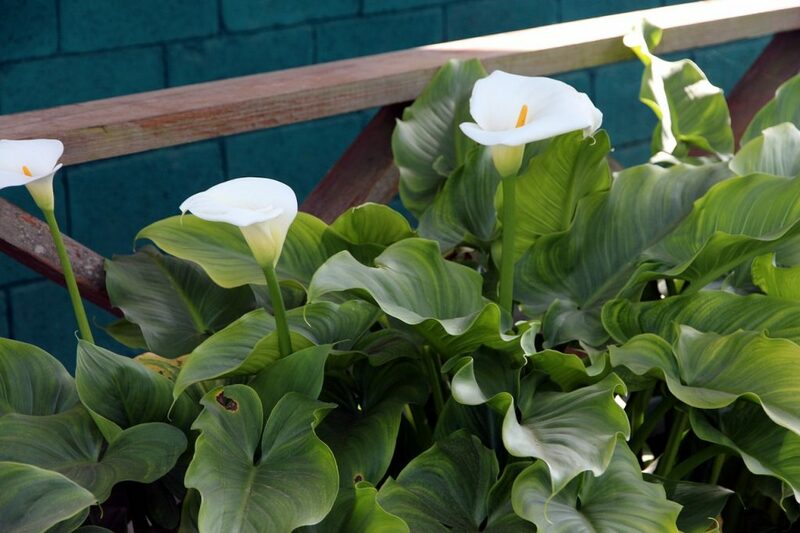 If you still want this popular decorative plant in your garden, find a nice, partial sunlight place for it, and provide soil acidic enough to get a healthy and vigorous plant. It is resistant on cold and dryness. Even though Belladonna doesn’t require too much maintenance, which makes it a perfect plant for a newbie gardener, just a few people are brave enough to grow this plant. It is pretty sad because, in essence, it is enough that you don’t eat the plant’s eye-catching berries or greenish-purple, bell-shaped blooms, and it won’t harm you. Plus, it is entirely safe for birds and animals. This controversial flower is a native to Western Asia, North Africa, and Europe. However, this perennial shrub was naturalized in the US and Canada a long time ago. It is considered one of the deadliest flowers on our planet. 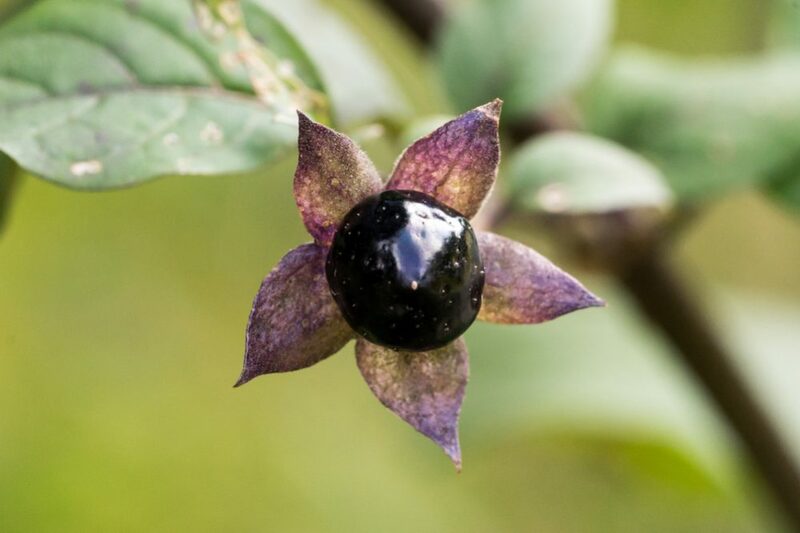 During the 14th to 16th century, women used juice made of belladonna berries for cosmetic purposes. Even the name of this flower means ‘a beautiful woman’ in Italian. In Greek mythology, it is named after the Atropa, the goddesses of destiny who cuts the final ‘thread’ of our life and brings death. Belladonna is actually a useful plant, and it is an effective medicine for dilating pupils and treating stomach ulcers, bowel syndrome, and motion sickness. Also, it contains scopolamine (it controls the heart rate and reduces body stomach acid) and atropine (it dilates the eyes and reduces bodily discharge). On the other hand, the ingestion of only two berries can have severe consequences and even kill a child. If ingested, its appetizing-look berries will release a poison that paralyzes gastrointestinal muscles, blood vessels’ nerve endings, and the heart in the end. The most common symptoms of poisoning are sensitivity to light, dilated pupils, rapid heartbeat, headaches, convulsions, hallucinations, confusion, and finally death caused by respiratory failure. This plant is pretty versatile, easily regenerate, and doesn’t demand some extra care. Many people like that unique combination of the dark and light green, yellow, and white color of its leaves. 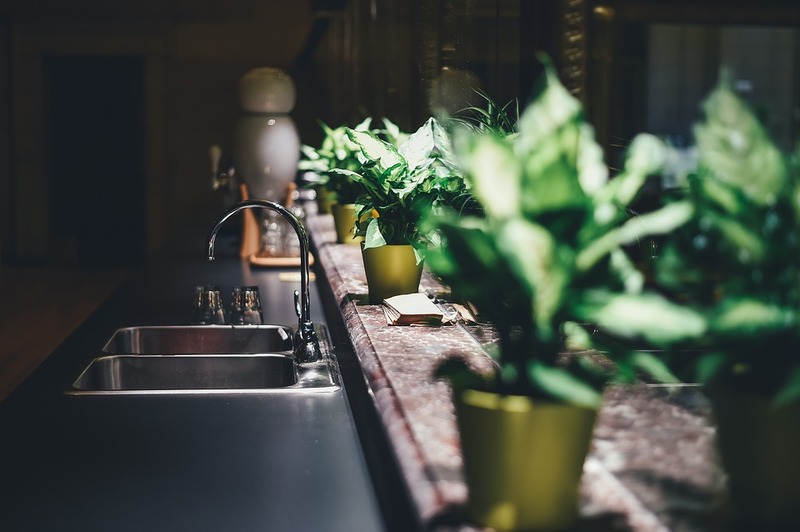 Dieffenbachia is an ideal choice for an indoor gardener, especially if your house doesn’t have enough sunlight during the day. You just need to provide an adequate, shady place or indirect light, average room temperature, and regular moisture twice a week. In return, your Dumb Cane will successfully grow and make your home colorful and charming. 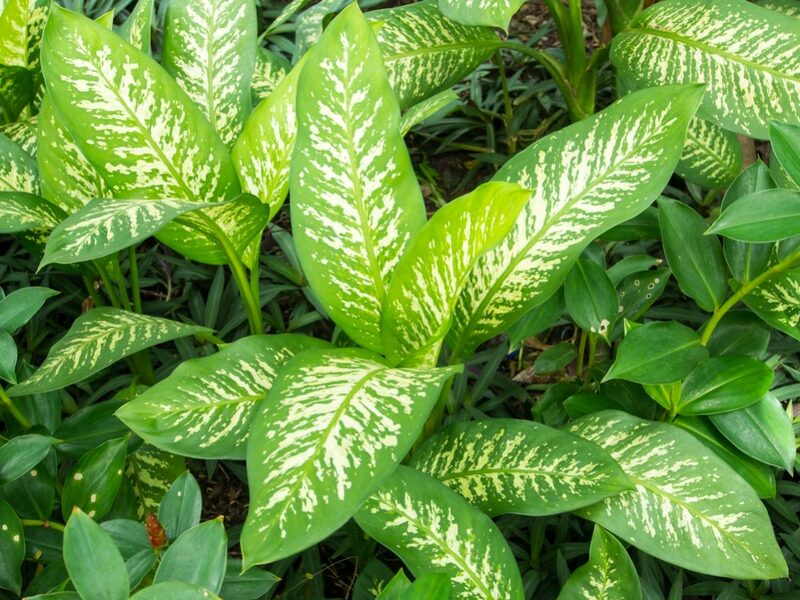 The truth is that Dieffenbachia is a poisonous plant, but it won’t kill you and your child or pet except you eat it. The entire plant tissue has tiny, needle-shaped crystals of calcium oxalate which may cause a swollen and very painful mouth, tongue, and airways, as well as inability to talk after coming in contact with the plant’s milky sap. Every part of oleander, including sap and nectar, contains toxins (oleandrin and neriine). After ingestion, you have only 24 hours to avoid a fatal outcome. Despite those facts, its leaves and seeds are useful and often used in medical purpose against warts, painful menstrual periods, heart conditions, indigestion, asthma, malaria, and even leprosy and cancer. On the other hand, if you eat honey made after bees digested nectar of this flower you can experience the symptoms of poisoning including irregular heart rate, vomiting, diarrhea, and abortion. 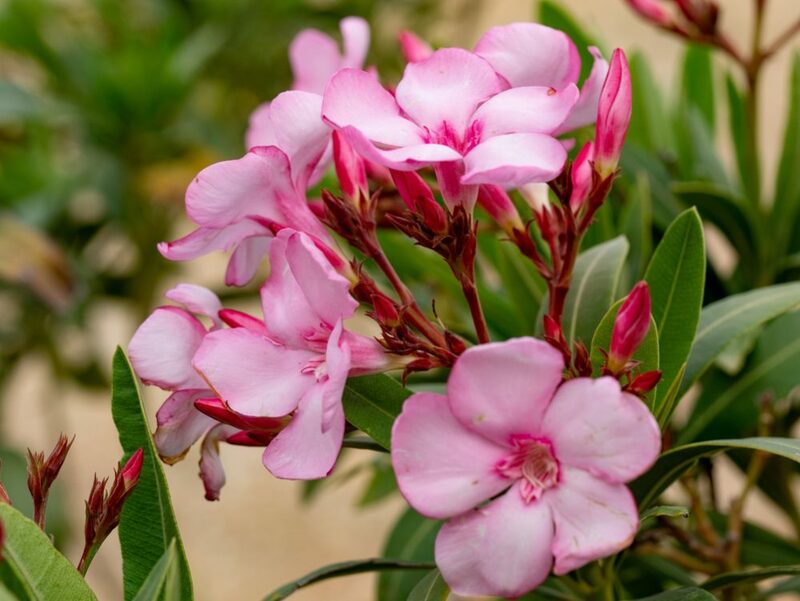 However, Oleander is an exotic plant you can see in the whole Mediterranean area where it prevents erosion and represents an excellent highway barrier. This delicate plant with beautiful white, red, yellow, pink, and burgundy flowers is decorative and produces an incredible fragrance. It grows in the poor soil, requires low maintenance, and it is tolerant of drought. It can tolerate partial shade but prefer the full sun. Although this plant is toxic to animals, you shouldn’t worry about your pets too much. I have three cats and a dog, and all of them keep far away from my Oleanders. Oleander was the first plant that blossomed in Hiroshima after the atomic bomb was thrown in 1945. Nowadays, it is an official flower of this city. Unfortunately, it is also the ‘most popular suicide plant’ in Sri Lanka. In India, eating crushed seeds of this plant is the typical way of suicide. 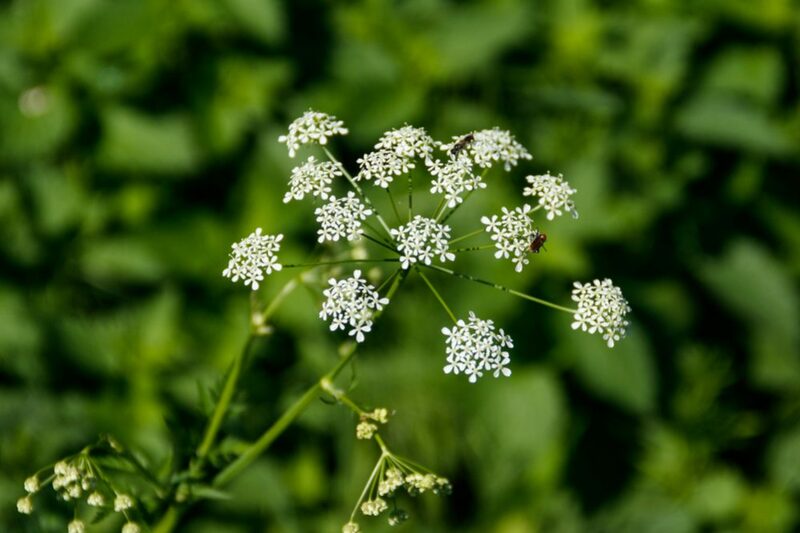 Water hemlock is the most dangerous plant in the US and the whole of North America. It can be entirely fatal thanks to the cicutoxin from its stem, green seed heads, leaves, and toxic sap from tubers. It affects the CNS directly and causes violent convulsions and painful seizures. This smooth perennial, up to eight feet plant that grows in moist meadows, roadsides, and around ponds is well-known for its lovely, tiny white flowers that look like an umbrella. Watch out! The tiny piece of this plant can kill an animal of 1,200 pounds (550 kg). The primary reason why I include Cicuta on the list is its incredible similarity with Queen Anne’s lace, my favorite and entirely harmless flower. Don’t mix up these two plants! Also, be careful and don’t mistake its white roots for the parsnip. This plant is originally from northern South America and southern parts of North America (you can find it mostly in Florida, the Bahamas, and many Caribbean Islands). 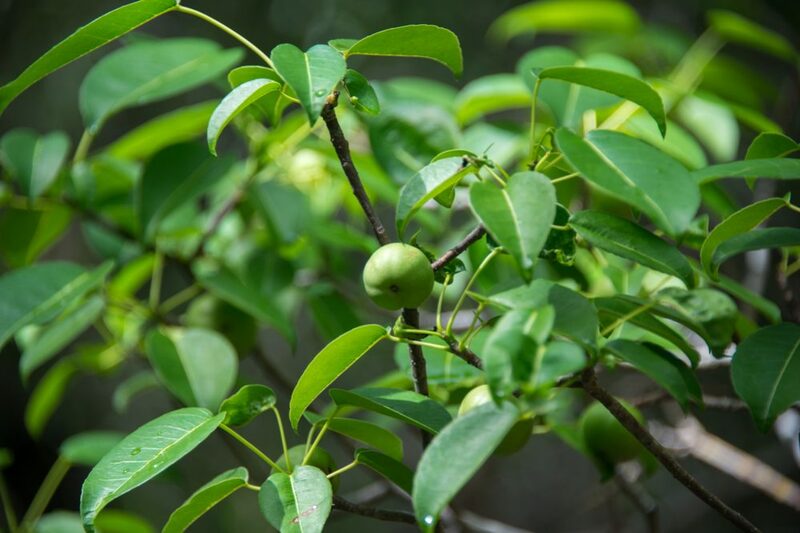 Manchineel tree is known as ‘la manzanilla de la Muerte’ which means ‘the little apple of death’. Can you imagine how toxic this tree is when you can be poisoned if you just stand under its boughs while raining? When milky sap, full of toxins and phorbol, oozes out of the leaves, bark, and fruit, contact with the skin, it causes painful burn-like blisters. Ingested, their apple-like fruits will cause mouth’s blisters and swelling in the throat. Plus, inhaling smoke from that tree during the fire will cause blindness and severe irritation. Manchineel trees usually grow near beaches and protect the ecosystem from erosions and windbreaks. Therefore, they shouldn’t be removed, but most of their trunks in North America are marked with an appropriate sign, a red ring, or large red X. The name Rhododendron is a combination of two Greek words ‘rodon’ (rose) and ‘dendron’ (tree). Literally, it would be a Rose Tree. Many gardeners consider this ‘King of Shrubs’ as the most desirable flowering evergreen plants for their landscape. Azalea is a lovely, flowering shrub that belongs to the genus of Rhododendron. These flowers prefer a climate with moist summers and enough rainfall throughout the year. That means that you can find this plant everywhere in the United States where the weather is neither too hot nor too cold. 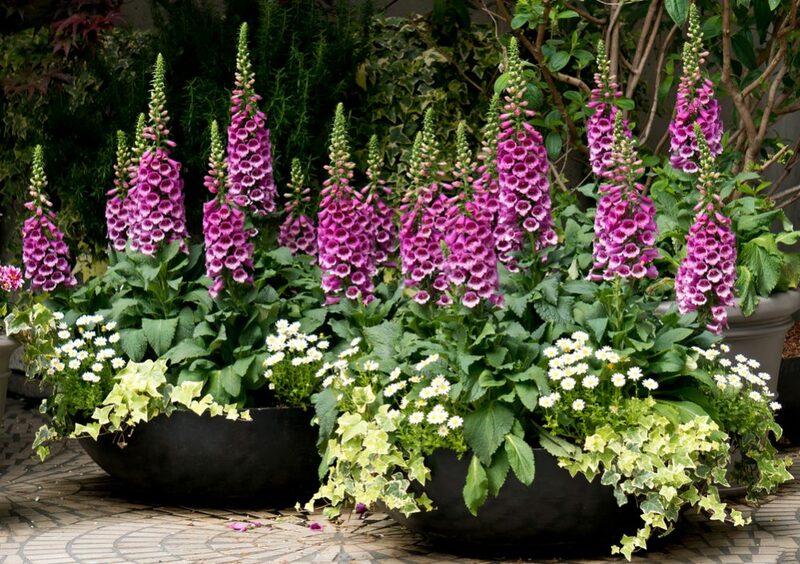 They flourish in the spring, and almost every gardener adores their fragrant funnel, tubular, or bell-shaped flowers. The difference between these two subtypes is in leaves. The Azalea leaves are narrow and pointed, while Rhododendron has large and leather-like leaves. 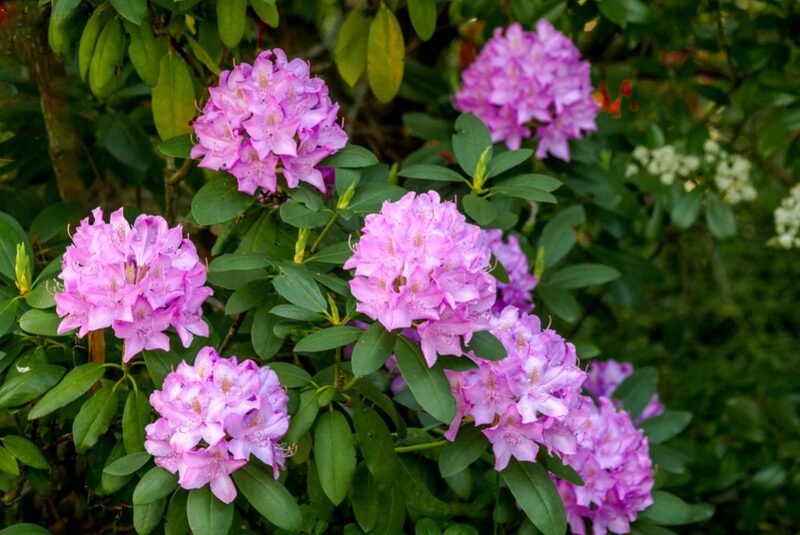 Do you know that Rhododendron is the state flower of Washington and West Virginia? Generally, we cultivate those plants because they cheer us with their beautiful purple, red, pink, or white flowers in exchange for a little moisture and shade they need for their growth. The dark side of this desirable flower is its toxicity. Have you ever heard of the term ‘mad honey’? It is about the honey extracted from this plant. Plus, the entire plant is deadly poisonous. Swallowing only a tiny part of it will lead to symptoms such as teary-eyes, difficult breathing, vomiting, lowering blood pressure and pulse, a violent seizure, coma, and the horrible death. The good news is that you need to eat hundreds of petals to get poisoned. However, keep your pets away from this plant. There are sixty varieties of these gardening flowers originating from Africa, Europe, and Asia. 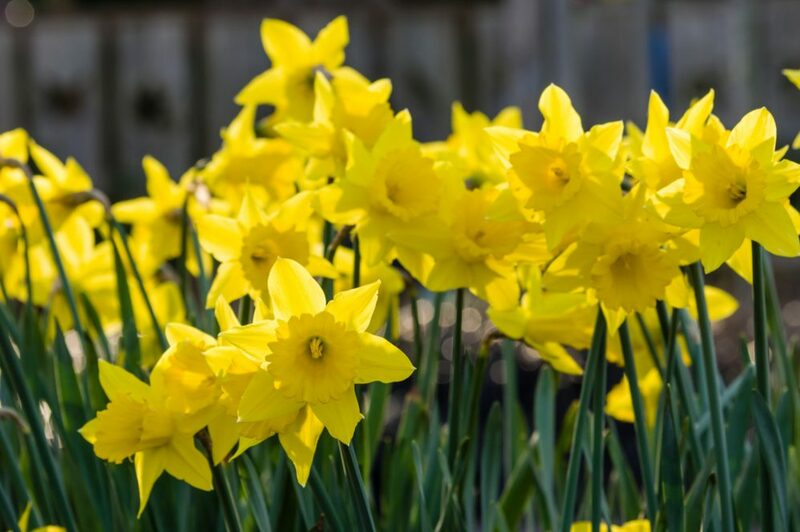 Since Daffodils is a highly valued decorative plant, there are more than 12 000 hybrid cultivated types of it. Moreover, there is the Daffodil Society established in Great Britain in 1898. That society gathers all the Genus Narcissus’ lovers for more than a century. This delicate orange, white, or yellow flower, with long, green leaves, contains the toxin lycorine in its bulb. Luckily, the level of the toxin is pretty low, and it isn’t lethal for humans. However, eating petals will cause diarrhea, vomiting, and nausea. It can also cause liver damage and cardiac arrhythmia in pets especially dog that like digging and ingesting bulbs. Honestly, I adore this flower as the first plant that blossoms in my garden announcing the arrival of spring. In the same time, I am careful with Daffodils. Although I admire this flower in the garden, I never make a bouquet or enter it into my home because it may cause bad headaches. Often, we love things that are not good for us. So it is with flowers. Some of the most beautiful plants in our garden can be the most dangerous for us and our beloved ones. 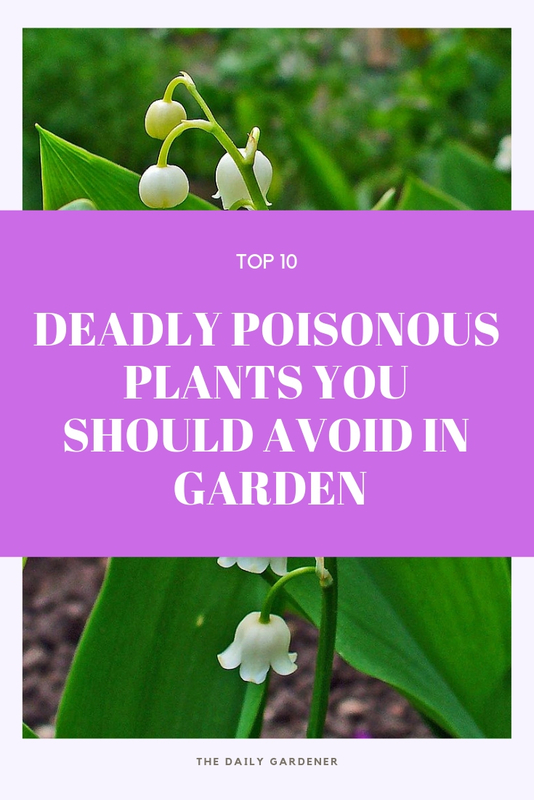 However, the fact that the flower is poisonous doesn’t mean that you should avoid it. Try to be well-informed and careful, and you can freely enjoy the intoxicating beauty of these ‘badasses’. My name is Peter Weeks, Writer of The Daily Gardener. Gardening has always been my passion, nothing gives me quite the satisfaction that feeling the soil sift through my fingers does. Give me a spade, a shovel, and a rake, and I can happily while away the day transforming a patch of land into a beautiful oasis. To me, gardening is life. It’s not a career. It’s not a job. It’s something that I truly love doing. It’s a way of life, a passion that I’ve no intention of ever giving up. Good to know that Daffodils are lower toxicity. I don’t plan to eat them, but I plan to keep them in my yard. Even if we choose to have some of these lovely but poisonous plants, it is nice to know what we are dealing with. Thanks for covering this topic. 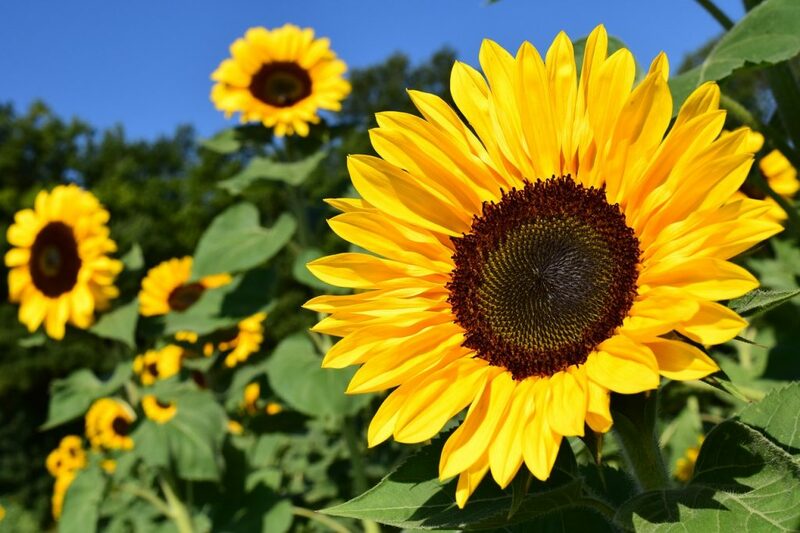 How to Grow Sunflowers in Your Garden?